EPIC MN – Creating a solid brand and impact for Youth Farm – Thank You! 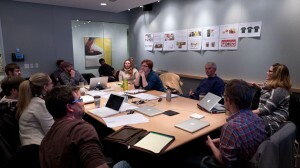 Youth Farm staff and board meet with creatives to decide on direction on brand. Almost 2 years ago, we lucky enough to be the first Minnesota non-profit to be selected by EPIC MN to embark on an 8 week rally to better impact our mission and social change efforts through pro-bono work from advertising and creative professionals. This rally turned into a full rebranding effort including a name change, new logo, design, video, photos, language and website. We went from a typical small non-profit with poor graphics, growing and plant imagery, to a new clean look, focused on iconography and a first person tone to our language. This was not an easy process, particularly for those youth and staff who have been a part of our organization for a long time, some over a decade. But trust in the amazing professionals that worked on our team and a belief on our work has led this to have positive impacts beyond our best hopes. 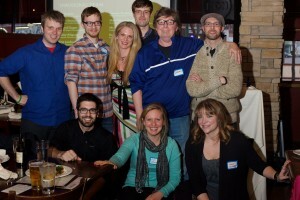 Here are (most of) the great people that led our project at the Rally Wrap up. Thank you to the great team at EPIC MN for their long lasting work and dedication to our work and mission, there is not a day that goes by that we do not see it’s positive impact! BRAVO to EPIC! The impact on our development work has been exceptional. They do amazing work for others. EPIC Minnesota was awesome to work! Thank YOU for being such an amazing first client for EPIC (iamepic.org) And thank you for evangelizing for our cause, it means more than you will ever know!